There have been several studies undertaken around the benefits of Reflexology for pregnancy. Please click on More Information on the benefits of Pregnancy Reflexology to find out more. As you already are aware, your body is going through the most amazing changes and is working hard to grow your little one. 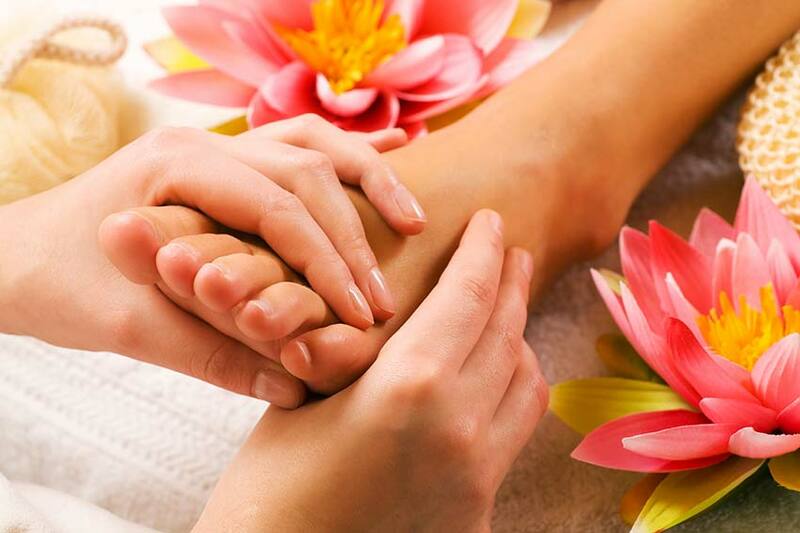 Give yourself a wonderful helping hand with a beneficial Reflexology treatment. Time out and time to relax is what every expectant mother needs and Reflexology is very beneficial postnatally too. As standard practice, a full consultation will occur before a treatment can take place to ensure there are no prohibitive conditions present. Even though Reflexology is a safe and gentle therapy, if you have any of the following conditions you should not undergo treatment and will of course seek immediate medical attention. Whether you would like to use our pregnancy services or those of another therapist, please always ensure your therapist is trained in Maternity Reflexology. If you are in the latter stages of your pregnancy and would find travel to our clinic bases difficult or inconvenient because of other commitments, we are happy to offer you a home visit. Call us on 07790 207 363 or email jackie@baby-bumps.net to book your pregnancy reflexology treatment. Pregnancy length can vary massively from woman to woman – up to 5 weeks! We are all unique after all 🙂 Ditching the ‘due date’ is recommended, but we do understand the immense pressure parents are under when their due date comes…. and goes…. We believe there is no stronger force than Mother Nature – and that your body and your baby know best. The most beneficial thing you can do for yourself as your due date passes on by is to stay as relaxed as is physically possible – this is one thing Reflexology can most certainly help with! When you are relaxed your oxytocin levels will increase and oxytocin is one of the hormones that starts, and continues, your labour. Reflexology is a wonderful thing to do for you and your baby in the late stages of pregnancy, enabling you to relax deeply – which is just what your hardworking body requires. It can help you to let go of stress – which in turn could be just the ticket to get things going. Jackie is an experienced Reflexologist, with over 11 years’ experience in all things Reflexology. It’s tiring being a mum – especially a new mum! Immense change has taken place in your mind and body and you understandably probably feel pretty washed out. Growing a new human being is no mean feat! During pregnancy your body goes through huge physical and emotional changes and it is common to feel low in the few days after your baby has been born. This coupled with your new responsibilities and tiredness can leave you feeling overwhelmed – which of course is totally normal! The good news is that booking a few regular reflexology sessions with us will ensure that you get some overdue, one to one time with a very experienced Reflexologist. Now is the time you need some serious pampering and relaxation. As reflexology is excellent at balancing the body’s systems, you may well feel that if you have been feeling low, your mood lifts and anxiety levels drop – your body will be given a helping hand in healing itself.